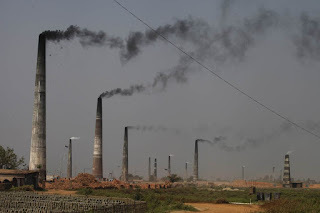 DHAKA, May 23 (Thomson Reuters Foundation) - Bangladesh is set to impose its own carbon tax on fuel next month – despite the hugely climate-vulnerable country producing relatively tiny per capita emissions. The tax is expected to be put in place on June 1 as part of the country's annual budget and will be part of a larger bundle of "green" measures, Nojibur Rahman, chair of the National Board of Revenue, told the Thomson Reuters Foundation in a telephone interview. Many businesses and environmental groups have welcomed the plan, saying that Bangladesh – one of the countries considered most threatened by climate change impacts – needs to make a strong statement as governments like that in the United States pull back from action on climate change. The new tax may not make any significant contribution to achieving the Paris Agreement's goal of keeping average global temperature increases below 2 degrees Celsius above pre-industrial levels, they said. But "when a country pollutes, the other countries are also affected. So, we need to reduce carbon emission as much as possible and imposing a tax is only way to do it," said Abdul Matlub Ahmad, outgoing president of the Federation of Bangladesh Chambers of Commerce and Industry. He said the tax would not only raise the price of using fossil fuels but the added income could help push more use of renewable energy. "If the government wants to cut the import duty on environment-friendly renewable energy products, it needs to charge taxes on polluters," he said in a telephone interview. Bangladesh produces about 0.44 tonnes of carbon dioxide per person, much lower than the United States' 16.4 tonnes, Australia's 16.3 tonnes and Qatar's whopping 40.5 tonnes, according to World Bank figures. Carbon taxes – which raise the cost of using fossil fuels by creating a charge for the climate damage they do – are one of the simplest, most market-friendly ways of driving climate action, experts say. But they have proved politically tricky to put in place, and not just in poorer parts of the world where incomes are low and making fuel more expensive can be politically risky. But low-lying Bangladesh, which faces huge risks from sea level rise, worsening storms, floods, droughts and other climate change impacts, has made a name for itself as an international leader in climate action, particularly in terms of innovative adaptation to climate change. "Although our contribution to climate change is very nominal, we are one of the worst victims of climate change. Aware of the problem, we have the most successful and best climate change programmes the world has so far witnessed in any country," Finance Minister A.M.A. Muhith, said earlier this month at a Dhaka summit on climate change and disaster risk reduction. While it seeks international finance to help with programmes to address climate change, Bangladesh also has paid for projects out of its own nationally funded climate change fund. M.A. Matin, general secretary of the Bangladesh Poribesh Andolon (Bangladesh Environment Movement), said in a telephone interview that any carbon tax would need to be accompanied a "long-term carbon reduction plan" from the government. In the short term, higher taxes on industry can drive up production costs, with those costs passed on to consumers. That might mean "it's not a right method for reducing emissions," he said. Md. Khalequzzaman, a Bangladeshi professor at Lock Haven University in Pennsylvania, said he believed that in a poor nation like Bangladesh industry – rather than consumers – should bear the cost of the new tax. "I feel that the financial beneficiaries of carbon emissions should bear the tax as a part of their corporate social responsibility. The ordinary people should not be burdened with the additional cost of using power," he said in an interview. He suggested that alongside imposing the carbon tax, the government should look at developing renewable sources of energy in the country. DHAKA, May 1, 2017 (Thomson Reuters Foundation) - Bangladesh plans to begin turning some of the grain it produces into ethanol to make its fuel greener – but economists and experts warn the move could hurt food security in a country that is already a grain importer. mmittee, called the move to begin using grain for fuel "suicidal". Much of Bangaldesh's maize is used to feed animals, including chickens. 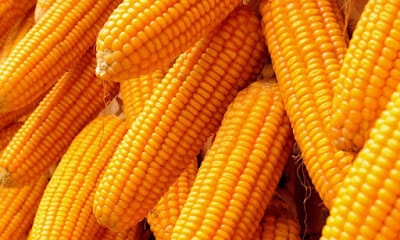 But the country grows only half of the maize it needs, importing the rest from the United States and Brazil, he said, which means rising demand could mean rising prices. "Maize prices will go up if it is used for ethanol production. The price of eggs and chicken will go beyond the reach of common people," Rahman warned. According to a study by Bangladesh's energy ministry, the country could produce 18 million liters of ethanol a year, or about 75,000 liters each working day. That would require 60,000 tonnes of broken rice each year – about 3.5 percent of the country's total production. 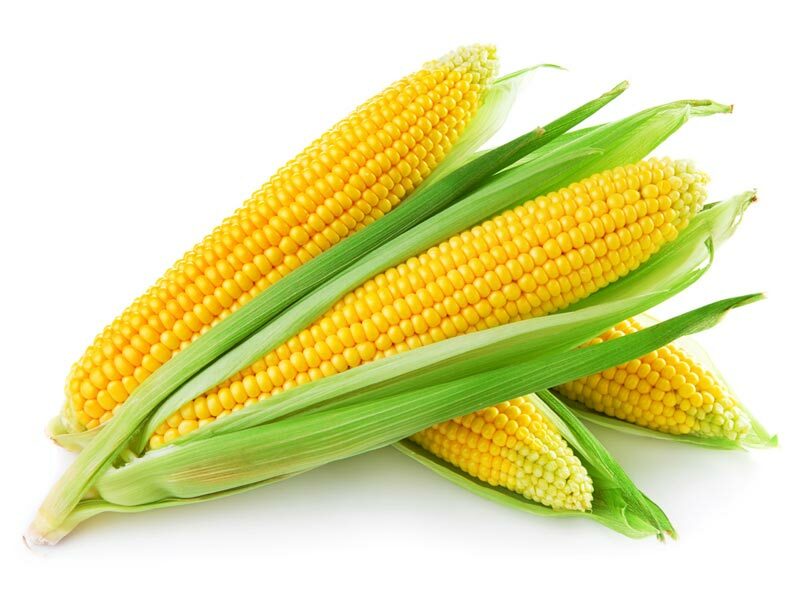 Alternately the county could produce the ethanol with 62,000 tonnes of maize (2.8 percent of production) or 97,000 tonnes of molasses (nearly all of the country's production). "So, we are exploring the possibility of using bio-ethanol with other fuels. You can't remain out from the global trend of energy use," he said. "Yes, we are going to give permission for bio-fuel soon. Let's see what happens first. Its impact on food security will be considered than," Hamid said. Already many people face daily hunger and can manage meals only once or twice a day, experts say. Last year, Bangladesh ranked in the top 25 percent of the world's most hungry countries, according to the Global Hunger Index of the International Food Policy Research Institute. Bangladesh today produces about 1.8 million tonnes of broken rice, about 100,000 tonnes of molasses and less than half the 6 million tonnes of maize it needs each year, according to the country's Energy Ministry. Rising food prices are a major concern, with a growing portion of people's earnings now being spent on food. The country's food inflation rate in February was 6.8 percent, up from a record low of 3.8 percent a year ago. About 13 percent of Bangladesh's people fall below the national poverty line of $2 per day, according to World Bank data. The country produces about enough rice to meet demand but imported 4.5 million tonnes of wheat last year to meet demand for that grain, according to the country's food ministry. "If needed, we will produce maize in char lands of the country as raw material for our plant," Aftabuddin said. Bangladesh needs to turn to renewable energy to keep its environment clean, he said. But Mohammad Moinuddin Abdullah, secretary to the Ministry of Agriculture, said creating fuel using maize – which is increasingly being imported to make up for rice and wheat shortfalls – doesn't seem to make sense. "I do not see any valid reason for using maize and broken rice for ethanol production," he said. M. Asaduzzaman, a fellow of the Bangladesh Institute of Development Studies and a member of the country's climate change negotiations team, said he also disagreed with the move toward producing ethanol from grain. "We have tremendous difficulties in livestock nutrition. If maize is now used to produce ethanol, the cost of livestock production will go further up causing further animal protein deficiency," said Asaduzzaman, also a former vice chairman of the International Commission on Sustainable Agriculture and Climate Change. "This is a wrong-headed decision," he said. Bangladesh's per capita carbon emissions are tiny compared to those of more developed countries, and should not be as great a concern as protecting food security, he said. "When we can't meet basic nutritional need, we don't need to go for clean energy," he said. That could lead to more demand for maize and for land to grow it. "Then, staple food production will be hampered since Bangladesh suffers from acute farmland scarcity," he warned. 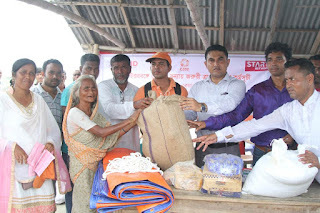 DHAKA, Aug 17 (Thomson Reuters Foundation) - With millions of Bangladeshis hit by devastating monsoon floods in the past month, the government and aid agencies are helping them with emergency food and shelter, while working to improve protection against future disasters. By June 2019, the government will distribute half a million "household food silos" to people in areas prone to storms and flooding, to keep their food stocks safe from water and other threats. Bangladesh's Humanitarian Coordination Task Team - made up of government and U.N. experts, aid agencies and donors - estimates that some 3.7 million people in 19 districts have been affected by the recent floods which began in mid-July. Of the total number of people affected by the latest floods, around 2 million live in Jamalpur, Kurigram and Gaibandha - Bangladesh's poorest districts, where around a third of the population falls below the poverty line. These northern areas were also hit by severe flooding in September 2014. "This flood is the worst in the last 30 years, affected people say," said Adith Shah Durjoy, disaster operations coordinator for the International Federation of Red Cross and Red Crescent Societies (IFRC) in Bangladesh. "The self-recovery capacity of these people is destroyed by repeated floods," he told the Thomson Reuters Foundation. "The floods have inflicted significant damage and hardship across the country," said Mozharul Huq, secretary general of the Bangladesh Red Crescent. "Homes have been completely destroyed, (and) there's a shortage of clean water and lack of toilets. People's livelihoods have been left in tatters." Much of Bangladesh's land is a low-lying delta plain, meaning many parts of the country regularly go under water. Monsoon floods often inundate homes and fields, causing crop losses and damaging food stocks. But natural disasters exacerbated by climate change are happening more often, according to Atiq Rahman, executive director of the Bangladesh Centre for Advanced Studies. "In the northern districts, agriculture - particularly rice and vegetables - is damaged, alongside losing lives," he said of the current floods. "Disastrous events are hitting more frequently than before." As part of a government effort to help people manage climate risks, the "household silos" will be given to coastal and river-bank dwellers so they can keep their grain dry when waters rise. The World Bank is providing $8.37 million to procure the silos from local company Madina Polymer Industries Ltd, under the project to modernise food storage. DHAKA, June 22, 2016 (Thomson Reuters Foundation) - Bangladesh has seen a near-record number of deaths this year from a phenomenon that appears to be worsening with climate change: lightning strikes. So far this year, 261 people have died from lightning in the country, putting the South Asian nation on track to beat last year's 265 deaths. Most lightning deaths usually occur during the warm months of March to July. The problem has prompted Bangladesh's government to add lightning strikes to the country's list of official types of disasters, which includes floods, cyclones and storm surges, earthquakes, drought and riverbank erosion, among others. As a result, the government now compensates lightning strike victims or their families with sums between 7,500 and 25,000 taka ($95 to $310). Through mid-May the government had paid 1.5 million taka ($18,400) in claims this year to families of 81 people who died because of lightning. "The months of April, May and June are the hottest in Bangladesh and the moist air quickly rises upward to meet with dry north-westerly winds to cool and form large storm clouds," Dipen Bhattacharya, a physics and astronomy professor at Moreno Valley College in California, told the Thomson Reuters Foundation. "Some specialists think that as the world warms up, we should expect more explosive lightning events  rather than a gradual increase," he said. During the three-day period of May 12 to May 14, 67 people died from lightning strikes in Bangladesh. 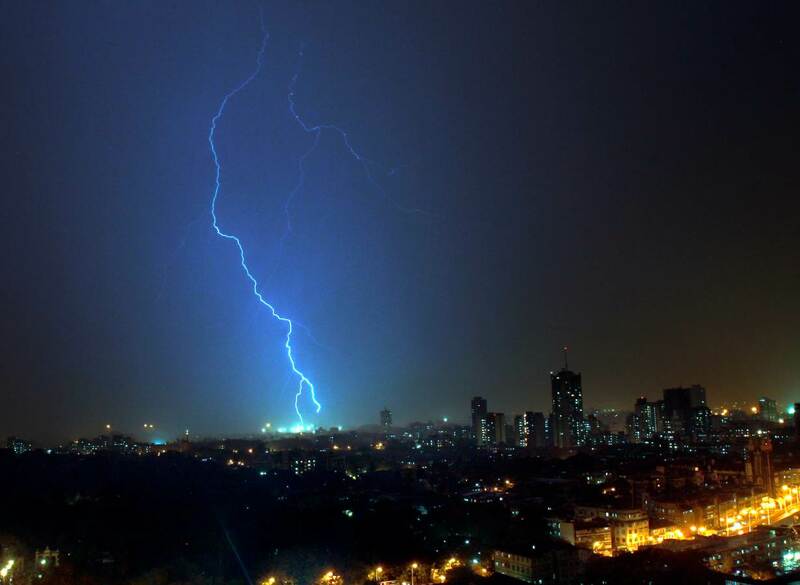 Altogether, 132 people died in May after being hit by lightning, according to the Foundation for Disaster Forum, a Dhaka-based disaster preparedness network. According to Bangladesh's Met Office, prior to 1981, the country saw lightning strikes on average nine days each May. Since that time, the country has seen strikes an average of 12 days each May. Experts in Bangladesh and internationally say the rise in fatal lightning strikes may also be related to the country's population growth and to deforestation, which has led to the disappearance of many tall trees that earlier would have drawn lightning strikes. Now fatalities often involve farmers using metal farm equipment in open fields, or people standing near metal cell phone towers or electrical power towers, experts said. Some said they believed cell phone use also might be leading to more lightning fatalities, but other experts said that link is unlikely. Lightning continues to kill people who take shelter under trees during electrical storms as well, they said. Atiq Rahman, executive director of the Bangladesh Center for Advanced Studies, told the Thomson Reuters Foundation that it would not be wise to blame the rise in deaths directly on climate change. But A.Q.M. Mahbub, an earth and environmental science professor at the University of Dhaka, said rising global temperatures over the last century were driving a range of changing weather phenomenon, including stronger tropical cyclones, thunderstorms, floods, droughts and heatwaves. "The increased numbers of lightning strikes may be due to global warming but it needs further research to be confirmed," he said. He said the United States, which once saw 200 to 300 lightning deaths a year, had managed to dramatically reduce that toll by making people aware of the risks of standing in open areas during thunderstorms. In Bangladesh - or anywhere where storms threaten - "people should take shelter immediately in any (building) and farmers should flatten themselves to the soil when they meet any possibility of thunderstorm to avoid incidents," he said. 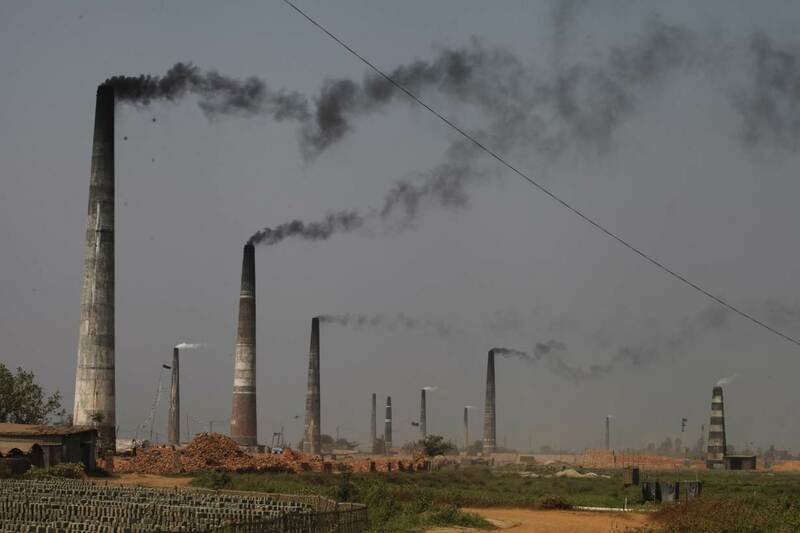 DHAKA, April 14 (Thomson Reuters Foundation) - The government of Bangladesh has indicated it is unlikely to abandon its push to build more coal-fired power plants despite growing opposition among local people and environmentalists. DHAKA, Nov 20 (Thomson Reuters Foundation) - The government of Bangladesh has approved construction of a large-scale solar park as part of a push to increase the share of power from renewable sources in this electricity-starved country. The new solar park, which is due to begin generating within the next 18 months, will supply up to 200 megawatts (MW) of electricity to the national grid. Sun Edison Energy Holding (Singapore) Pte Ltd will build the park in Teknaf sub-district, the southernmost point in mainland Bangladesh. The solar power will be cheaper than electricity from conventional power stations. The tariff rate has been fixed at Tk 13.26 per kilowatt/hour ($0.17), two-thirds the price of electricity generated by oil-fuelled plants. Teknaf is one of several large projects in the pipeline as the government aims to reach a target of 2,000 MW, or 10 percent of overall capacity, generated from renewable sources by 2020. Current daily grid generation is 7,000 MW, against a peak demand of 8,500 MW, although the actual need is certainly higher since only 62 percent of the population have access to electricity through the grid. The government plans to increase installed capacity to 20,000 MW by the end of the decade. Ahmad Kaikaus, an official at the ministry of power, energy and mineral resources, said in an interview that the government hopes that 500-600 MW of this will be generated by public-sector solar power plants. "We have asked public-sector power companies to set up equipment for generating electricity from solar," Kaikaus said. "They are carrying out feasibility studies." Kaikaus said that in addition, scores of local and foreign private-sector companies are submitting preliminary proposals to invest in solar power generation, with projects ranging in size from 5-100 MW, and the government is so far considering 14 of these. Taposh Kumar Roy, chairman of the Sustainable and Renewable Energy Development Authority (SREDA), identified a shortage of uncultivated land in this densely populated country as a significant constraint to planning large-scale solar plants. "Large-sized solar power plants need a huge area of land to install solar panels. In Bangladesh such barren field is hardly available. Our policy is to set up such plants only in non-agriculture lands to keep food production unhampered," he said. Among the places solar panels could be placed is on rooftops of residential, commercial and industrial buildings, he said. At present, renewables account for 405 MW, or around 5.7 percent, of Bangladesh's total daily electricity generation. This includes 150 MW from solar home systems, and 11 MW from rooftop systems. A further 230 MW are generated by hydropower. The government also is collecting data on wind power potential from 13 locations, he said. According to Roy, some $2.76 billion will be required to implement both large- and small-scale solar projects in the country, of which $2.23 billion is expected to come from development partners, with the rest from government and the private sector. Ruhul Quddus, a World Bank consultant on solar home systems in Bangladesh, said renewable energy has become cost-effective as technology constantly improves. Quddus said an investment of around $1 billion by the state-owned Infrastructure Development Company Ltd (IDCOL) has enabled the installation of some 3.7 million solar home systems since 2009, as well as solar-powered irrigation pumps and mini-grids. The home systems have eliminated the need for 180,000 tonnes of kerosene fuel, saving an estimated $225 million annually, he said. According to IDCOL, more than 65,000 solar home systems are now being installed each month. The company aims to finance 6 million systems by 2017, increasing the estimated generation capacity from the systems to 220 MW. Quddus said there also are about 1.4 million diesel-fuelled irrigation pumps in Bangladesh which could instead run on solar energy. SREDA's Roy said most of the ongoing renewable energy projects in Bangladesh are financed by donors, with the funds managed and distributed by IDCOL. "Since solar projects need big investment, we can't take those from our own resources," he said. The government is exploring the possibility of getting money for projects from the Green Climate Fund, Roy said. Dipal C. Barua, president of Bangladesh Solar and Renewable Energy Association, is optimistic that the government's 10 percent target can be met through public-private partnerships. Barua said large-scale renewable projects had not been implemented successfully in the past because of insufficient attention from the government, including a lack of feasibility studies and the absence of a tariff policy. The government is now preparing a tariff policy to procure electricity from big renewable power grids, and this will encourage the private sector to invest, Barua added. DHAKA (Thomson Reuters Foundation) - Anna Akter, a nine-year-old student at a floating school in Bangladesh's remote Natore district, says she might have missed out on her education during annual monsoon floods without her boat-based classroom. The same goes for Khushi Khatun, who also studies at the boat school where she gets free tuition and materials. “Had there been no such school, she would have had to walk two kilometers along a muddy path or take a boat journey during monsoon which may have discouraged her to study,” said her father Nazir Uddin, a farmer in Pangasia village. Hundreds of students in the northern Bangladesh district are taught in floating schools, an initiative to make education available to children whose lives are complicated by regular flooding. “Instead of the students going to school, the school reaches them,” said Mohammed Rezwan, founder of Shidhulai Swanirvar Sangstha, the non-profit organization that introduced the country’s first floating school system. It also trains farmers to grow vegetables in floating gardens and raise ducks and fish, as well as offering free farm inputs. The boat schools are the kind of measure that can help education in developing nations like Bangladesh become more resilient to extreme weather and worsening climate impacts. Governments meeting in Japan from March 14-18 to adopt a new action plan to reduce the risk of disasters are expected to call for better ways to protect education before, during and after crises. Rezwan, an architect, was born and brought up in Natore district. He was lucky as he didn’t miss school in the rainy season thanks to his family’s boat, unlike many of his friends. “From school age, I thought there must be a solution to this problem,” Rezwan told the Thomson Reuters Foundation by telephone from his office in Natore. While at university, it occurred to him that if children couldn’t make it to school, their classroom should go to them. Rezwan established Shidhulai Swanirvar Sangstha in 1998 with $500 from his savings and scholarship money, and the floating school concept was launched in 2002. The boats first serve as school bus, collecting children from different riverside stops. Once they have docked, class begins. Rezwan’s organization now has 22 wooden boats, each able to accommodate 30 students. The boats have a classroom, a library and internet-connected computers powered by onboard solar panels. Each year, much of the Bangladesh countryside is hit by flooding, forcing schools to close, Rezwan said. In 2007, for example, some 1.5 million students were estimated to have been affected by floods, he noted. Around two thirds of the country’s 160 million people live in rural areas. During a normal rainy season, over a fifth of the country’s land is submerged, while in extreme years, up to two thirds can be inundated. As climate change impacts become visible, disasters caused by extreme weather, including floods and storms, are increasingly hitting the low-lying nation, Rezwan said. Sea-level rise could exacerbate the situation in coastal areas in the coming years, the Intergovernmental Panel on Climate Change has predicted. The floating schools cover an area of 2 square km, offering primary level education to local children who might otherwise have stayed away from school. Shidhulai Swanirvar Sangstha now also trains adult villagers on children’s and women’s rights, nutrition, health and hygiene, and how to farm ducks and fish alongside vegetables in “floating gardens”, helping them adapt to the impacts of climate change. Some other flood-prone countries, including Cambodia, Nigeria, the Philippines, Vietnam and Zambia, have introduced floating schools, following Rezwan’s model. Nazma Khatun, a teacher at the Natore boat school, said the nearest government primary school, located some 2 km away, could not be reached by students from her area during seasonal flooding. “The floating school has brought many benefits,” she said. “The students can easily go to school and stay close to their parents. The literacy rate is growing here,” she added. Her daughter also attended the floating school and is now studying at secondary level nearby. It has changed Khatun’s life for the better, too.